Support - Kentucky Youth Law Project, Inc. 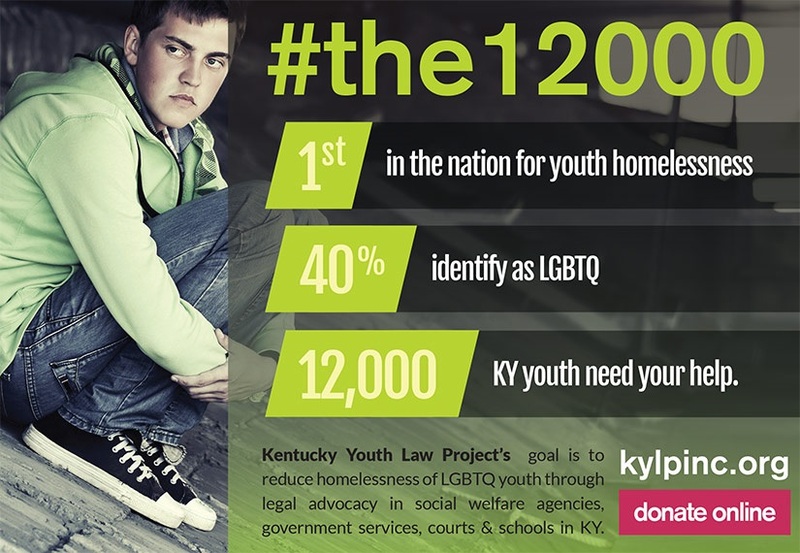 Your generous, tax-deductible gift to the Kentucky Youth Law Project, Inc. will help Kentucky's lesbian, gay, bisexual, transgender and questioning youth have safer, more stabile lives. It will help KYLP provide training for attorneys, judges, social workers, educators and foster parents. It will help KYLP fight for the legal rights of LGBTQ youth. Your gift will make a huge difference. Please give today! The Kentucky Youth Law Project, Inc. is a nonprofit corporation in good standing with the Kentucky Secretary of State, and is an approved public charity under Internal Revenue Code 501(c)(3) and 509(a)(2). Your donations to KYLP are tax-deductible to the fullest extent of the law. If you have questions or concerns, please feel free to contact us at kylplegal@gmail.com.